Put that old, chapped, overused lippie down: L’Oreal Paris’ new collection, with the imaginative direction of Balmain, has got you covered. 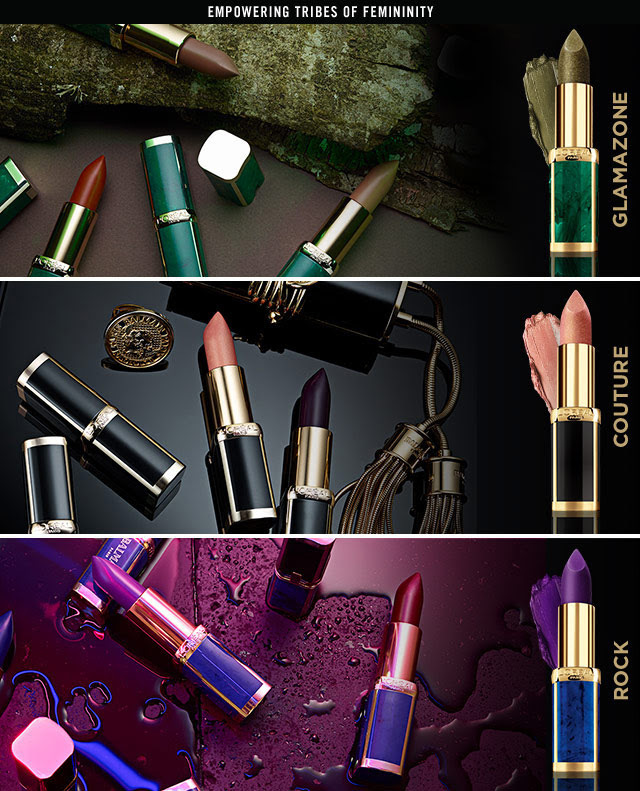 Balmain Creative Director, Olivier Rousteing, has brought his iconic vision to L’Oreal Paris, and together they have designed an inspired collection of lipsticks that need to be in your cart on the ASAP. “Knowing that L’Oreal Paris shared the same type of values of inclusion and celebration of all types of beauty made this an easy, natural fit for me,” says Rousteing. The team has produced 12 shades of lipstick motivated by three runway themes that define Balmain’s modern tribes. The three leading colours express the femininity and diversity that both companies aspire to represent: green marble for the nature glamazone beauty, onyx for the glamorous couture, and malachite for the edgy rock. Each have four distinct shades to suit the theme. L’Oreal Paris Global President, Pierre Emmanuel Angeloglou, says his desire to join forces with Balmain was because they represent French couture at its very best. Rousteing has also designed an entrancing statement neck piece that captures the three star shades, inspired by Balmain’s artisanal heritage and what they’ve created in recent collections. The collective aim of the exclusive lipstick compilation is to deliver the message of empowerment and diversity to all women. Each of the shades, and the individual models wearing them, all represent a reminder and attitude that “united we are all invincible”, as L’Oreal Paris Makeup’s Global Vice President, Zak Yopp, says. The Parisian collection will be available in Australia in the first half of 2018. The full colour range is yet to be released, but we can only imagine how fab it’s going to be.